Right now is a great time to get organised for a campervanning holiday in the Australian winter. 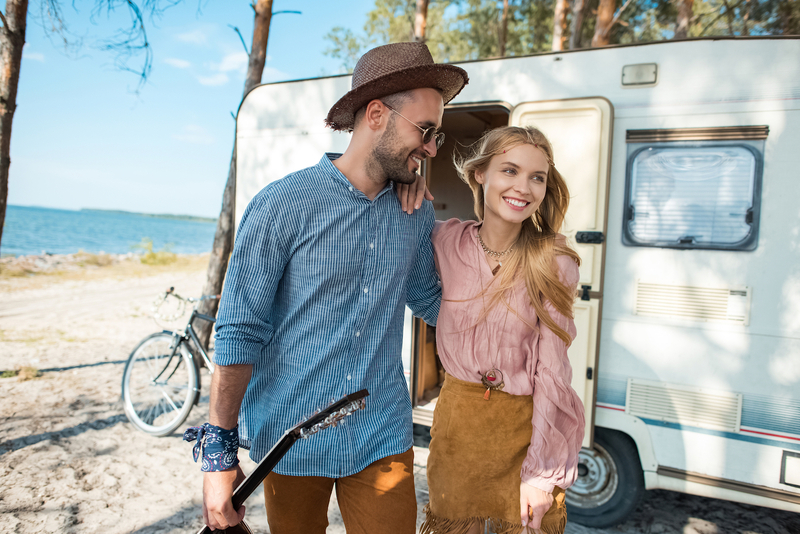 With Summer holidays pretty much done and dusted on the planning front for this season, but now is as good as ever to organise a fun escape on wheels in 6 months’ time. Here are seven tips to get you started with your motorhome holiday planning. For under a couple of grand, you can line up a 4 or 6 berth campervan for a fortnight exploring any Australian state. You can hire a cheap campervan from your nearest capital city with DriveNow. There’s a huge selection (go in and test it if you want), and there’s a variety of brands including the popular Britz, Maui, Apollo, Elite models. Also consider the type of holiday you’re aiming for and what extra features you will or won’t need. It’s true, sometimes you can save money with last-minute deals on accommodation. However, with motorhome holiday trips becoming more popular it’s safer to book in advance. It also helps for the sake of planning. Consider buying a membership with Family Parks Australia/NZ and enjoy the perks, including booking early so you know where you’re sleeping. You can find some caravan and camping sites for free. One of the most common mistakes travellers make is trying to fit too much into a short amount of time. The holiday becomes stressful and a disappointment rather than relaxing and fun. When figuring out your day to day itinerary, you should factor in an attraction’s opening and closing times and what days they might be closed. Too many people make the mistake of fitting in one attraction, only to find by the time they arrive at the next site it’s closed and not open tomorrow. Do the hard work early to avoid disappointment. If it’s a self-drive holiday on a long road, then always allow extra time. You need to factor in rest stops, toilet and lunch breaks to stay safe. Also remember that Australia is a huge country, with varying road conditions due to weather. Some stretches of road in the Outback are vast with no petrol stations, water, food, services or even mobile reception. You must prepare for such conditions and plan when you’ll stop to stock up on food, fuel, etc. If you want to escape the cold of Aussie winter and head north, make sure you’re subscribed to Tiger and Jetstar newsletters. You’ll get updates on the latest hot deals (including the fare tracker) which means you can possibly even organise a cheap winter escape as far as Queensland, Northern Territory, Perth or even Broome. Whether you’re driving petrol or diesel, fuel will easily be one of your biggest costs. People often underestimate how fuel prices can easily blow a motorhome holiday budget. Download apps like FuelWatch or MotorMouth, which allow you to compare prices between stations. Over a long distance drive, a few cents here and there could save a fortune by the end. Planning an affordable motorhome holiday isn’t just for Australia. You can also head overseas without breaking the bank. Snap up some of DriveNow’s awesome deals in Canada, US or Europe and enjoy some serious Great Outdoors in a foreign land. How Does the Green Machine Roll on?